Cute Puppies May Make the Best Atheists! I hate my roommate’s dog. My roommate loves his dog. I hate way his dog charges the front door when I arrive home. I hate the way he watches my every movement as I eat. I hate the way that he follows me when I am cooking. I hate the sound that the hardwood floor makes as he gently walks around. I hate the way he stares at me as I walk up the stairs. While at work, I have daydreams of doing “things” to that dog. My roommate adores his dog. He loves the way his dog joyfully greets him every time he comes home. He loves the way his dog easily follows instructions. He loves that his dog will relax with him on the couch and also go jogging with him. My roommate loves to tell people about his dog. Even if they are separated whenever my roommate is out of town, he is constantly worrying about his dog. I do not necessarily hate the dog. However, I do not like him. However, my roommate does like him. Who is correct in their thinking? Him? Me? We have two opposite and competing solidarities. Who wins? I have a coworker that is from a country where they eat certain dogs in their soup. There are numerous other countries of the like. Are they more hateful than I am since there are killing dogs? Or are they better than me because it is purely acceptable in their country? I have joking debates with my co-workers at least twice a week about the benefits, or lack thereof, of owning dogs. Usually I am alone against 20 other people. It is safe to say that I have yet to win one of those arguments. At least once a week my roommate will ask if his dog has won me over yet. Haha, he honestly believes that I am going to “cave in”. Maybe I was born during a full-moon and, therefore, have been genetically predisposed into disliking dogs because of werewolves. Ohhh yes, the werewolf. Such a mythical, fairytale creature. Speaking of fairytales, here is the thing about atheism: There are similar age-old questions that many people have asked since the beginning – Is God good? If God is real, the why is there evil? Is Christianity good for the world? The believer would say that God is good and Christianity is good for the world. On the other hand, the atheist would say the opposite. Who is correct? When you say that there is such a thing as EVIL, you are also assuming that there is such a thing as GOOD. If you say that then you must also assume that there is a moral law/moral standard that differentiates between GOOD and EVIL. Now if we admit there is a moral law, then there MUST be a moral law-giver who supplies this information … hence, God. Therefore, if there is no God, then there is no moral law-giver. If there is no moral law-giver then there is no moral standard. If there is no moral standard then we have no way or reason to distinguish between good and evil. If we cannot differentiate between good and evil then we cannot even say that there is evil in the world. Atheism, in this argument, collapses on itself. #Fairytales. Yeah, fairytales. A rebuttal is that humans are able to differentiate between good and evil due to human solidarity. From evolution, we have evolved into having an innate sense of “knowing” good and evil. The problem here is that if macroevolution is indeed real, then morality has to have evolved along with it. Our behavior as a people should be improving. This does not seem so as the 20th century was historically the bloodiest time in the history of the universe. Even today we have a plethora of technological advances and medical breakthroughs, but our selfishness allows for people to die from curable illnesses EVERYWHERE (violence of omission). Our greed has caused breakdowns in ALL aspects of our society. With technology we build more efficient warfare weapons. The 20th century alone drew more blood than the previous 19 centuries combined. Second and third-world country rebellions and causalities have become so cliche that our news media would rather talk about Justin Bieber’s latest excursion. It can be said that we have evolved into knowing morality because we have learned to help one another in order to survive. This is a half-truth. We have also killed one another, conquered countries, and cheated on exams in order to progress together as human beings. Who can then say that one way is correct and one is not when they both achieve the same goal. Some people prefer to cheat on an exam rather than study for one. Some people do not like dogs staring while they eat. Where do we find objective standards? It will sound arrogant to some, but the source has always been God. Romans 1:20 is going to claim that evidence of God’s existence can be seen in everywhere. It can be seen in the greatest, extraordinary things of this world. It can also be seen in the smallest particulars of this world. Are we opening our eyes to see the Truth? The same problem that was blinding our grandparents, Adam and Eve, still blinds us to this day. 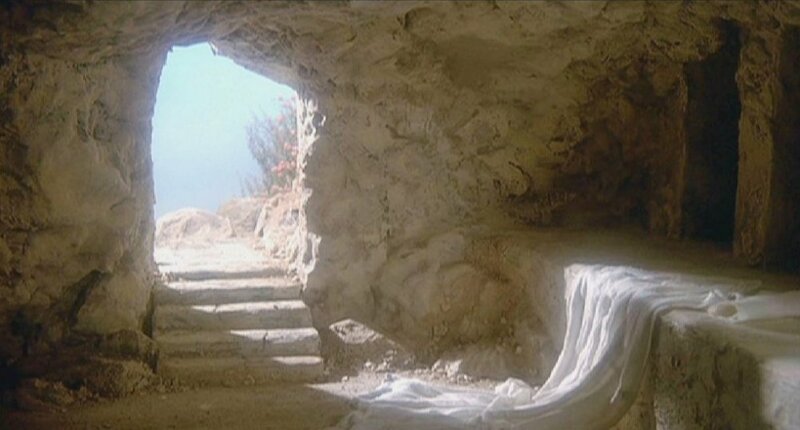 Luckily, Jesus left his throne and came to earth to die and resurrect for forgiveness of our sins. Luckily, for those who believe, the blinders have now been lifted (2 Corin. 3:14-18). We have freedom to see! Praise God, we can see! I am 100% with your room mate. Lol! I have my eye on you Earnest B with your anti-dog sentiments!